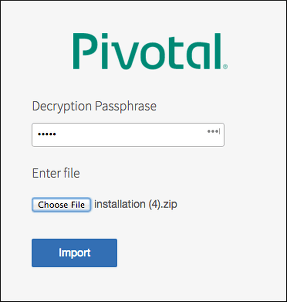 This topic describes upgrading Pivotal Cloud Foundry (PCF) to v2.5. The upgrade procedure below describes upgrading Ops Manager, Pivotal Application Service (PAS), and product tiles. For details about how upgrading PCF impacts individual PAS components, see What Happens During PAS Upgrades. If you have not already, complete the steps in the Upgrade Preparation Checklist for PCF v2.5. Follow these steps to upgrade Ops Manager and Installed Products to PCF v2.5. 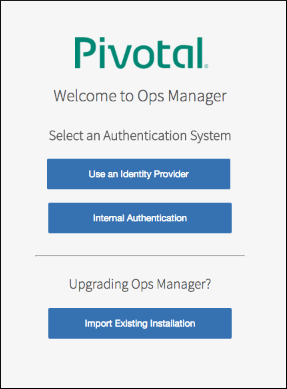 Download the Ops Manager VM Template v2.5 from the Pivotal Network site. A Successfully imported installation message appears upon completion. Click the newly-added tile to review any configurable options. Warning: If the installation fails or returns errors, contact Support. Do not attempt to roll back the upgrade by restarting the previous (v2.3) Ops Manager VM. After confirming that the new installation functions correctly, remove the Ops Manager v2.3 VM. Reason: To log in to BOSH after upgrading PCF, you need to re-create your alias.